The Series 2 Lotus Elise Sport 190 sports car was introduced at the Geneva Motor Show in March 2002. Powered by a Rover K-Series engine, which developed 190 bhp and 128 ft/lbs of torque, it had a 0-60 mph time of 4.4 secs, and a top speed of 135 mph. Although, essentially, a track orientated car, fitted with sports suspension and wider wheels, it could be easily converted into a road legal version. 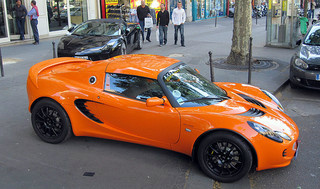 The Series 2 Lotus Elise Type 72, introduced in 2002, was similar to the Series 1 Elise Type 79 Heritage model. It was also available with the factory fitted Sport 135 upgrade. 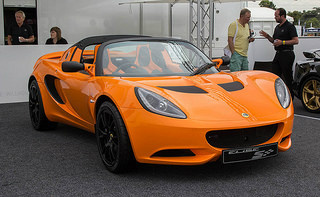 The Series 2 Lotus Elise Type 25 sports car, introduced in 2002, was a limited edition variant, based on just 50 units, and marketed in the UK only to commemorate the Formula One Type 25 race car. It was painted in Racing Green, with two yellow stripes running down the length of the car, including the hard top. It was fitted with red leather seats and door panels, red laurels sewn into the seat's headrest, and a Heritage "Type 25" plate on the dashboard. Introduced in 2003, the Lotus Elise Type 99T commemorated the Lotus 99T, which was the final Lotus Formula One car to be a Grand Prix winner. With eight spoke wheels, painted in saffron yellow with blue detailing, plus black leather carpeting and sports seats, it mirrored the original race car. 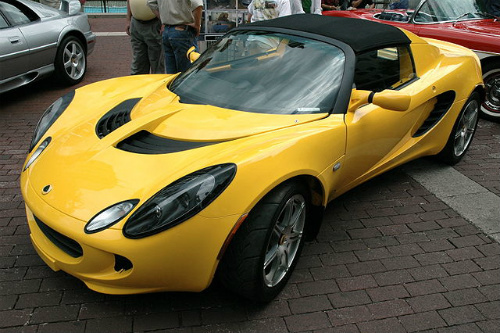 In January 2003, Lotus announced that the Series 2 Lotus Elise was to be introduced into the US for the first time. It was launched in 2004 at the Los Angeles Motor Show, and featured a Toyota 2ZZ-GE engine, fitted with a six speed close ratio Lotus gearbox. This engine consisted of a 1.8 litre, 4-cylinder, 16 valve, double overhead cam unit, with Variable Valve Timing. 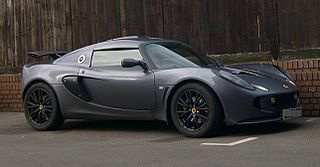 There was a limited edition of 50 cars, targeted at the US market, which was called the Lotus Sports Elise sports car. 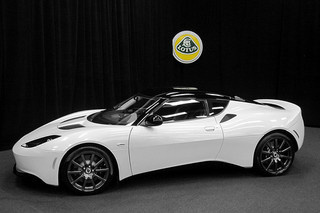 In January 2004, this US model was introduced into the UK market as the Lotus Elise 111R. Launched in 2006, the Lotus Elise S sports car was classified as the entry level for the Lotus Elise. Fitted with a five speed gearbox, it was powered by the alternative 1.8 litre, Toyota 1ZZ-FED engine, which developed 134 bhp, compared with the 190 bhp produced by the 2ZZ-GE version. In 2004, the Series 2 Lotus Exige sports car was launched at the Geneva Motor Show, powered by the same Toyota 2ZZ-GE, 1.8 litre engine, and Lotus six speed close ratio gearbox, as used in the US launch of the Series 2 Elise. This engine developed 189 bhp at 7800 rpm, and 133 ft/lbs of torque at 6800 rpm. Unlike the Elise, it was fitted with a flat extended front splitter, a fibre glass hard top incorporating an air scoop, a transparent engine cover, and a spoiler at the rear. Such additions substantially increased the down force on the Exige, which greatly improved road holding. 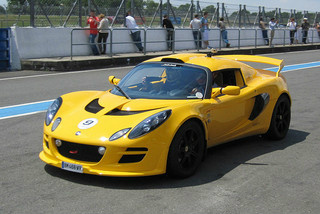 In February 2005, Lotus introduced a limited edition Exige, based on 50 units, which were fitted with the Toyota 2ZZ-GE engine, and a six speed close ratio gearbox, to which was added an Eaton M62 supercharger. Available only in yellow or black, and sporting a "240R" badge, this variant developed 243 bhp at 7800 rpm, and 138 ft/lbs of torque at 6800 rpm. It produced a top speed of 155 mph, with a 0-60 mph time of 3.9 secs, and a 0-100 mph time of 9.9 secs. 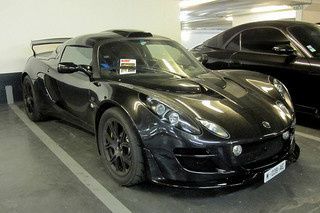 In January 2006, the Series 2 Lotus Exige was launched into the US market at the Los Angeles Motor Show. In February 2006, Lotus launched the Exige S sports car, which was powered by the 1.8 litre, Toyota 2ZZ-GE Variable Valve Timing (VVTL), double overhead cam engine, which was linked to a supercharger and intercooler. Fitted with a six speed close ratio gearbox, it developed 218 bhp at 7800 rpm, and 159 ft/lbs of torque at 5500 rpm. This produced a 0-60 mph time of 4.1 secs, a 0-100 mph time of 10.0 secs, and a top speed of 148 mph. It had a fixed roof, and a large wing at the rear supported by struts. This variant was also introduced into the US market around the same time. 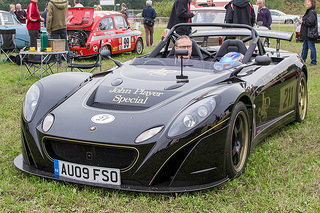 A 2010 supercharged Lotus Exige would command around £29,000/$45,000, and a 2014 Elise supercharged Club Racer would come in at £34,000/$55,000, whilst a 2009 Elise Type 25 racer would fetch in the region of £27,000/$43,000.